Even before Canada legalized marijuana last month, local and national investors were abuzz with the prospect of buying into cannabis-related stocks. After all, the industry generated $8.5 billion in spending during 2017, and market researchers expect sales will hit $23.4 billion by 2022. The boom of the marijuana industry may have you asking, “Should I invest in marijuana?” While many investors have jumped on the bandwagon, we at Windward Wealth Strategies believe the industry—and the stocks—are too risky. Our stance: Take a pass on cannabis. Essentially, cannabis-related companies are startups in an industry that faces a lot of unknowns. The volatility marijuana stocks have already experienced is reminiscent of the roller coaster ride bitcoin stocks took this year or the bust of dot-com stocks 20 years ago. Legal marijuana is subject to taxes, which drives up the price. That leads users to find better deals, most often on the black market. (Plus, keep in mind its recreational use is illegal in most states and by federal law.) In 2016, 85 percent of North American marijuana sales were through the black market, which could spell disappointment for cannabis companies and their stock holders. Because marijuana hasn’t been legalized in the United States, the federal government could, at any time, take a hard stance and effectively shut down American cannabis-related businesses. Plus, because state laws vary, companies could easily find themselves in violation of complex production and distribution laws. 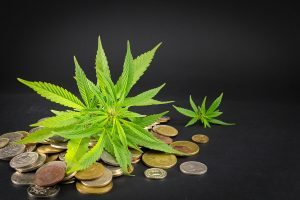 Perhaps most concerning for cannabis stockholders is last month’s Securities and Exchange Commission (SEC) warning of investment fraud and market manipulation. In the wake of soaring stock prices and Canada’s announcement, the SEC warned investors to specifically watch for unregistered stock sellers, guaranteed returns, unsolicited stock offers, and false or misleading information about cannabis-related companies. Like any businesses in an emerging industry, cannabis-related companies face great risks. First, they’ve likely overestimated production. Some of the largest cannabis companies are producing well below capacity, and others have yet to begin production. Plus, no one really knows how successful these companies will be. Consumer demand is still unknown, and we have nothing to compare to—cannabis-related stocks have few similarities in the market. In this tight employment market, cannabis growers struggle to find labor. For at least one company, the labor shortage led to crop loss. More than 13,000 plants outgrew the optimal harvesting period and had to be destroyed. In addition, companies face relatively low-profit margins. Canada legalized the dried cannabis flower and cannabis oil, nothing else. Considered a low-margin commodity, the cannabis flower doesn’t bring businesses the higher margins of alternative products, like edibles, vapes and concentrates. Because the Federal Deposit Insurance Corporation (FDIC) won’t insure banks that take “existential” risks, most traditional banks won’t help finance marijuana businesses. Instead, companies have turned to bought-deal offerings, which include sales of common stock, convertible notes, stock options and/or warrants. That increases the number of shares outstanding—the largest producer, Aurora Cannabis, went from 16 million shares outstanding in 2014 to more than 1 billion this year. That puts incredible pressure on companies to increase earnings per share. Still considering at stock investment in marijuana? Do your research. Is investing in marijuana a good idea? We don’t think so. But, we understand that some investors still want to take the plunge into this new market. If you’re one of them, do your homework. Heed the SEC warning. Dig deep to determine whether the companies you are researching are overvalued. If your curiosity has you asking, “Should I invest in marijuana?” contact us first to review your investment options. Call (920) 230-2215, and we’ll help you find investments with less risk that can lead you to your financial goals.